Do you like needlework? In this case, you should pay attention to felting. With its help you can create absolutely amazing things with your own hands. And before we learn to create stunning things in this way, let's find out what felting is. 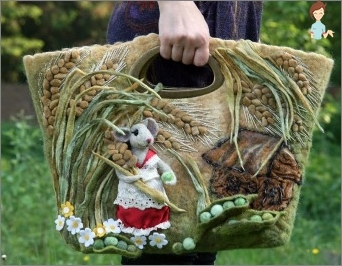 Felting is a kind of needlework, during whichFrom special wool it is possible to create drawings on fabrics, toys, various accessories, and also clothes. There are only two types of sculpture: dry and wet. The essence of the first is to create objects with a needle. 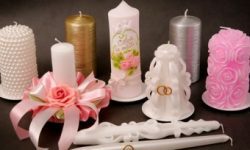 At the same time, such work is very painstaking,Because you need to pierce a piece of wool a lot of times in order for it to take the shape you need. This is the way most often create cute toys and women's jewelry. It is also worth paying attention to the fact thatWhen using this technology, you will need several needles, the choice of which will depend on the size of the parts that you want to make. This method is ideal when you need to do 3D elements. The technology of wet felting is slightly different. Here you need to wet the wool with a special soap solution and roll it out to the desired state. In this case, it is worth noting that in this way it is best to produce clothing items, cup holders and other flat parts. 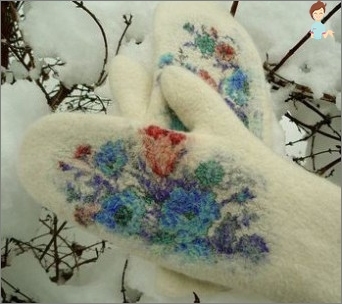 So you can make yourself a beautiful and warm coat, bolero and even mittens. The main thing is to approach creatively the matter, and you will have an original little thing. To create any such product you needTo acquire some materials. And if you thought that under the wool we had in mind those skeins of thread that you can buy in any store for needlewomen, then you are mistaken. In order to create something with your own hands in this case you will need untreated wool. If you are just starting to create withSculpture, then you should buy Merino wool for the beginning. You can buy it in specialized stores or order online. Also, along with the hair, you need to get a needle. Attention! Ordinary needles will not suit you. You need to buy special tools of different diameters with special hooks and notches. It is precisely these notches that contribute to the fact that the wool is transformed into felt. Do not forget about the additional elements. For example, if you decide to make a toy, you will need eyes and a spout, which can be made from beads or buttons. 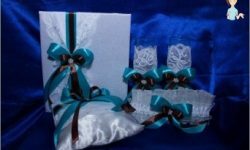 You may also need a variety of ribbons, bows and other accessories. And if you decide to practice wet felting, then you can not do without a special soap dispenser. We advise you not to save money and buy high-quality materials, because you do not want your product to lose all appearance in a week or two. The first little trick is to useMore wool. For example, you thought that for one bolero you need a half kilo of felt. In this case, take two hundred grams more. 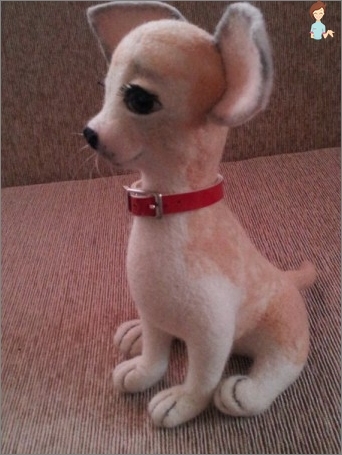 Since in the process of creating a felt, it has the property of settling a little. Of course, if you still have enoughOf the original material, then you can add some more quantity with a needle or a soap solution, but it will be quite difficult to do, especially if you just make the first steps in felting things. Also worth paying attention to the sharpness of the needles. For this reason, be sure to use a foam rubber sponge and take care of your fingers. Store them in a special cone, which is sold with a set of needles. Do not hold the workpiece in the balance. So you can not only pierce your finger, but alsoDeform the product itself. And one more thing: you have to start playing with a large diameter needle. And as you approach the final result, you can use even thinner needles. Now with regard to consistencyMaking, then doing all the elements of the conceived thing costs separately. And only at the end you can connect them together with a needle. Although if you look at the finished toys, it seems that the product was made at once entirely. Attention! When joining parts, you should first sew them with a normal thread, the color of which should roughly coincide with the shade of the coat. But when the object is ready completely, you can hide all the seams with the help of felting. The advantage of such a connection is a higherStrength of all product seams. And you do not have to worry about the fact that at the most critical moment, some element of your product just fall off. One more thing: In no case should one start with complex objects. Better start with something small and not very complicated. So you can quickly hone your skills and move on to making more grandiose things. After you have finished your masterpiece very muchIt is important to know how to properly care for things from such material. First of all, remember that you can only wash felt items by hand and only at temperatures not above forty degrees. Otherwise, the material may decrease in volume or lose shape. Another tip concerning washing: Try to use funds that include lanolin. This product is made on the basis of natural fat, which envelops every wool and prevents your product from losing its original appearance. Yes, and wash the felted things is special. It is not necessary to exert much power and literally wipe the dirt. It will be enough just to soak a thing in a special facility and leave to soak in the water for an hour or two. After that, just rinse the hair and the washing will be finished. If you washed an item of clothing,For example, bolero, then iron it should be immediately after you squeezed water from the product. The temperature of the iron should not be above 160 degrees. On older models, this temperature is indicated by two points. As for the squeezing, do not try to unscrew the cloth. Felt products need to be pressed with palms, between which the fabric is compressed. Now as for drying. In no case should you hang such a thing on a rope. So the canvas will stretch and completely lose shape. For drying, you just need to put your product on the sheet and leave to dry in a horizontal position. As you can see, almost everyone can make several objects from felt, but for this you need to be patient and do not try to get a star from the sky. Remember that any skill you need to mastergradually. 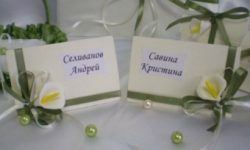 Also pay special attention to the care of felt things made by hand, because even the best quality work can lose its appearance due to improper care. Good luck!